Apache Maven is a Software Project Management tool. Based on the concept of a Project Object Model (POM), Maven can manage a project’s build, reporting and documentation from a central piece of information. 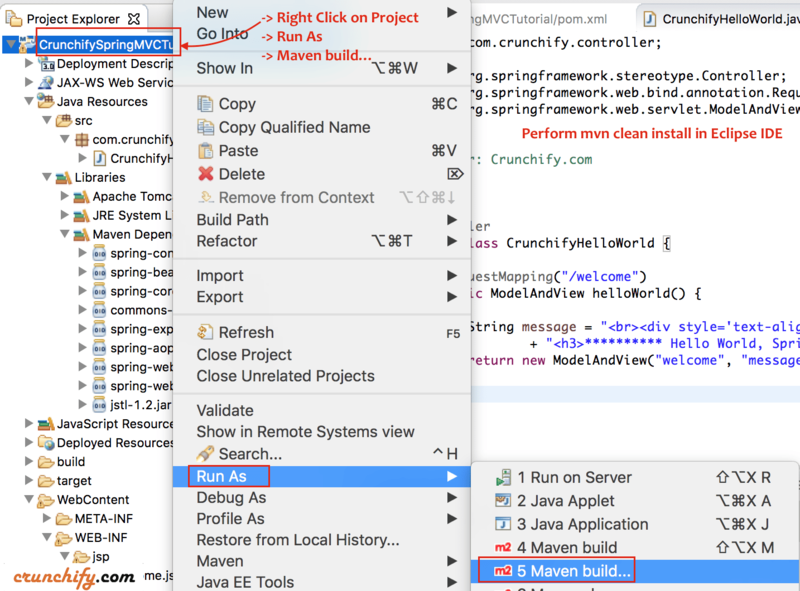 On Crunchify, we do have more than ~20 different maven tutorials including Setting up Maven Classpath on Windows and MacOS, maven-war-plugin, maven-shade-plugin, maven-assembly-plugin, etc. 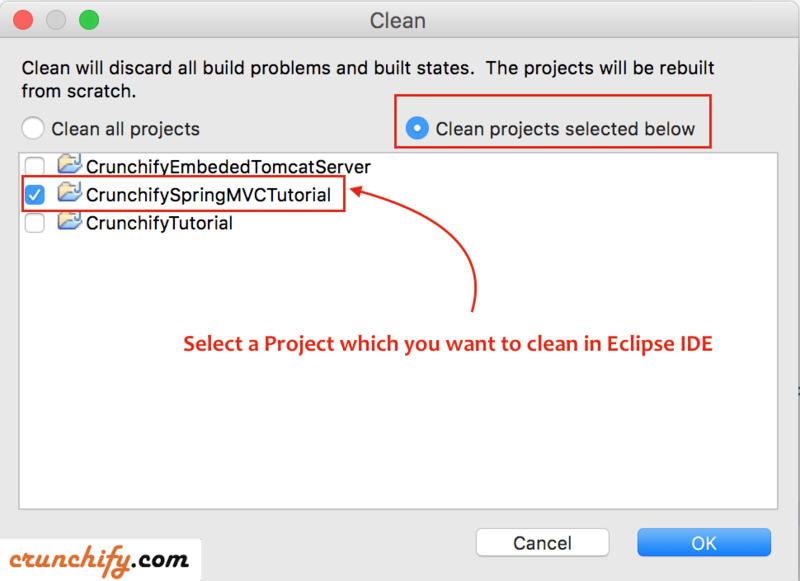 In this tutorial we will go over highly and widely used some tips and tricks which will fix most of the Maven and POM dependency related issues for your in Eclipse IDE. In Java how to fix Maven, Maven Configuration and Maven Dependency issue? 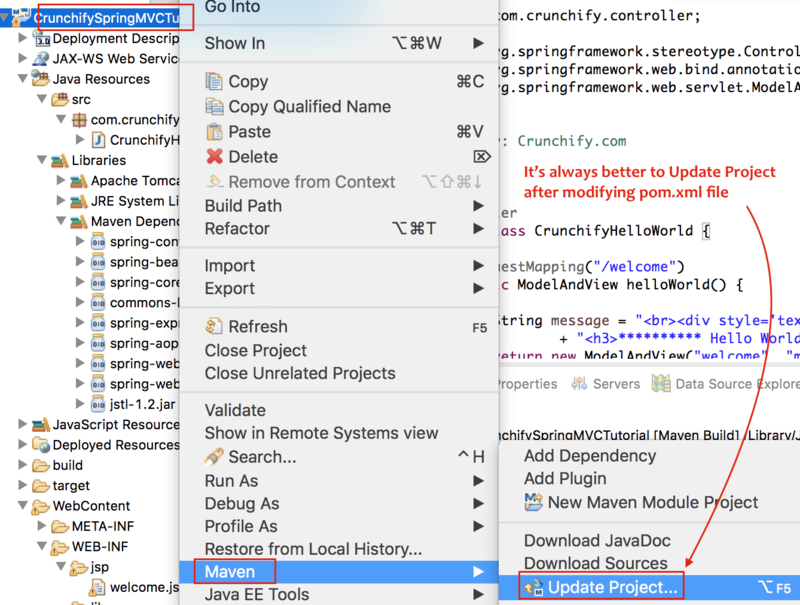 How do I update my Maven project to work in Eclipse? How to fix error “Updating Maven Project”? Create new maven based project or open existing maven project. In my case, I’m opening my existing Simplest Spring MVC Hello World Project in Eclipse. You should see BUILD SUCCESS message after successful run. 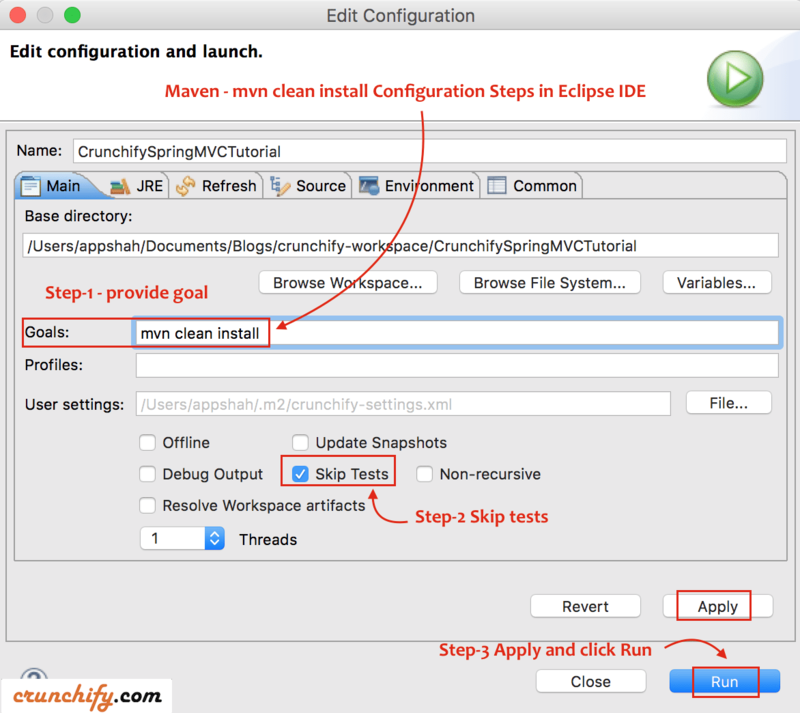 By performing above steps most of the common Maven build issues should be resolved in Eclipse. Let me know if you face any more issues and will try to debug. Nothing worked and you are still getting weird Maven issue? Try deleting .m2/repository folder via File Explorer. -> After that perform above steps and all maven libraries will be downloaded again fresh. 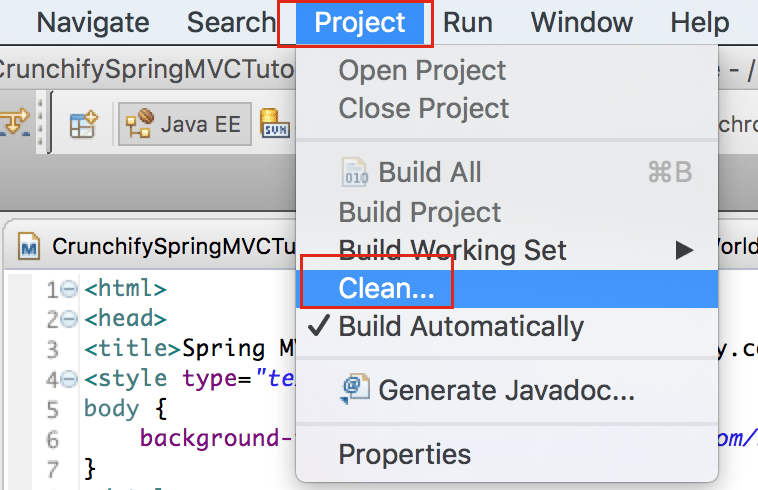 How to Create Dynamic Web Project using Maven in Eclipse?